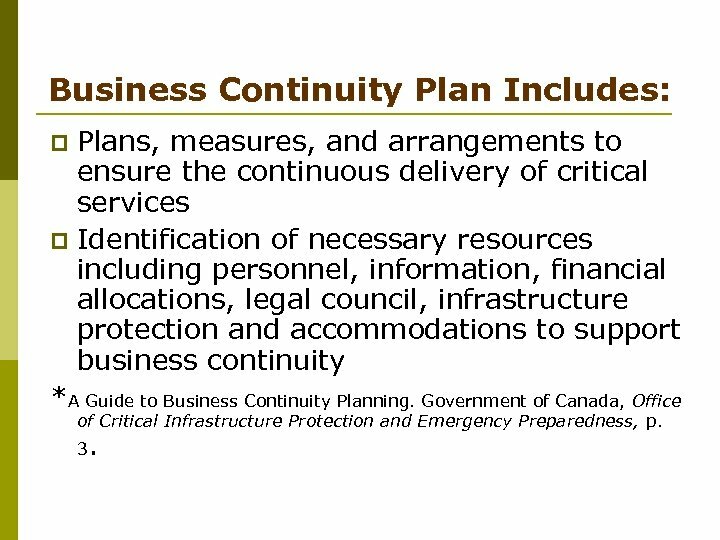 Business Continuity Plan Includes: Plans, measures, and arrangements to ensure the continuous delivery of critical services p Identification of necessary resources including personnel, information, financial allocations, legal council, infrastructure protection and accommodations to support business continuity *A Guide to Business Continuity Planning. 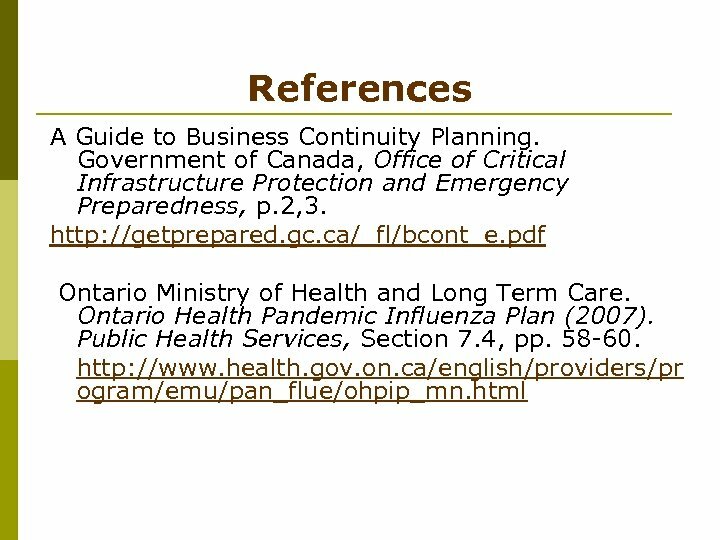 Government of Canada, Office p of Critical Infrastructure Protection and Emergency Preparedness, p. 3 . 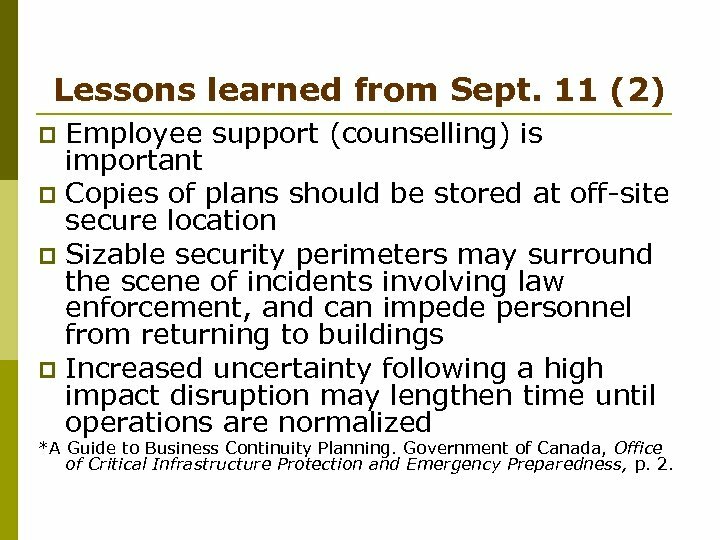 Lessons learned from Sept. 11 (2) Employee support (counselling) is important p Copies of plans should be stored at off-site secure location p Sizable security perimeters may surround the scene of incidents involving law enforcement, and can impede personnel from returning to buildings p Increased uncertainty following a high impact disruption may lengthen time until operations are normalized p *A Guide to Business Continuity Planning. 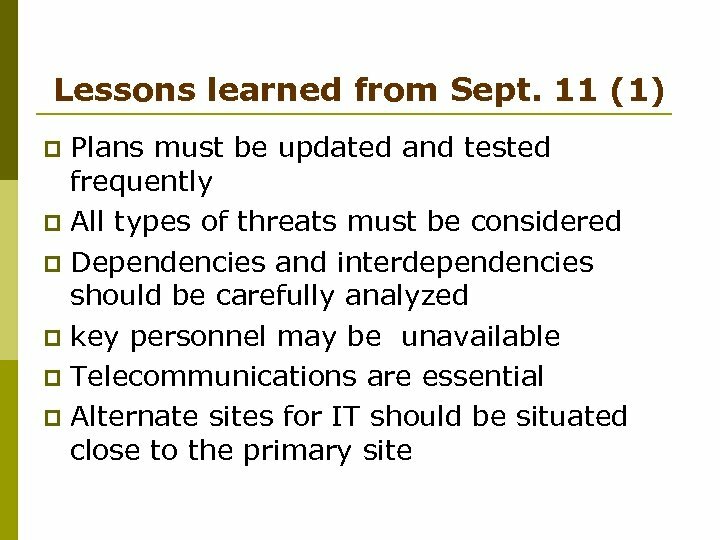 Government of Canada, Office of Critical Infrastructure Protection and Emergency Preparedness, p. 2. 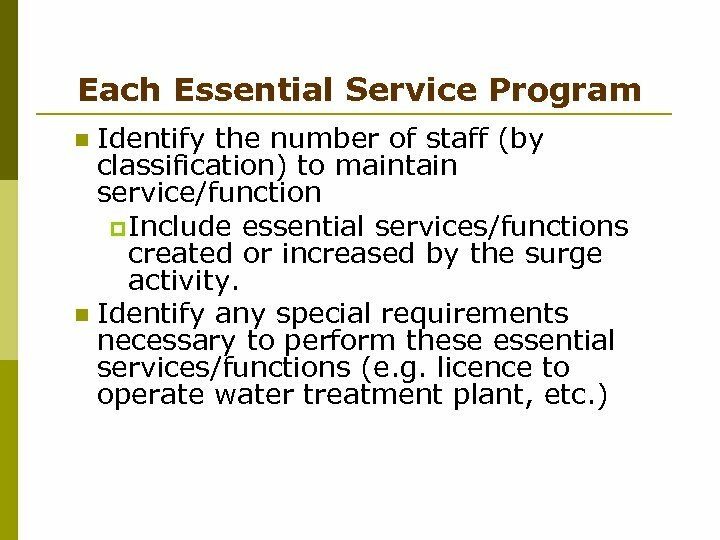 4 Levels of Program Components/Activities Priority Level A – Must Do – critical services, cannot be deferred or delegated. 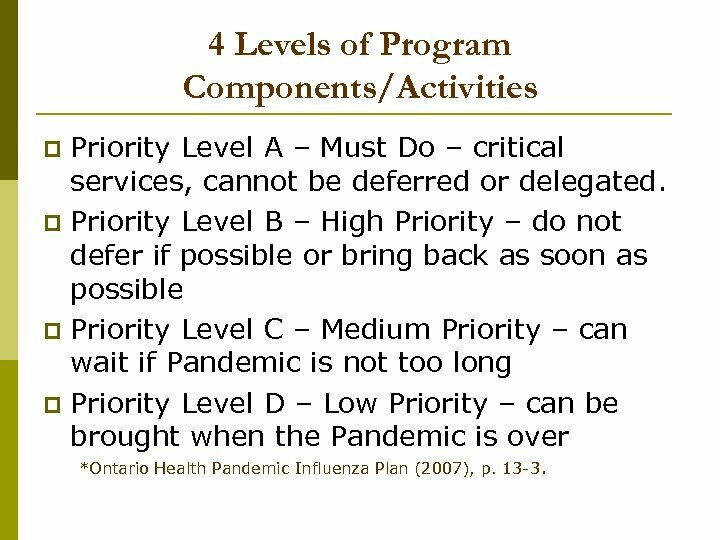 p Priority Level B – High Priority – do not defer if possible or bring back as soon as possible p Priority Level C – Medium Priority – can wait if Pandemic is not too long p Priority Level D – Low Priority – can be brought when the Pandemic is over p *Ontario Health Pandemic Influenza Plan (2007), p. 13 -3. 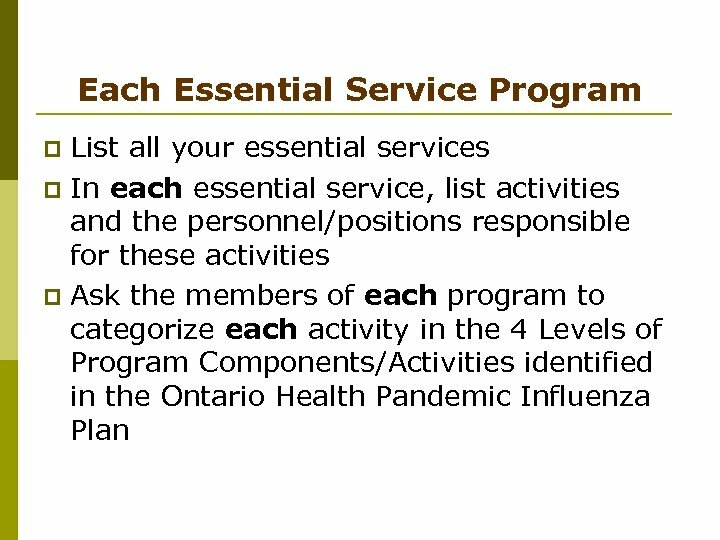 Each Essential Service Program Identify and develop a skills sets list of all personnel in each program. 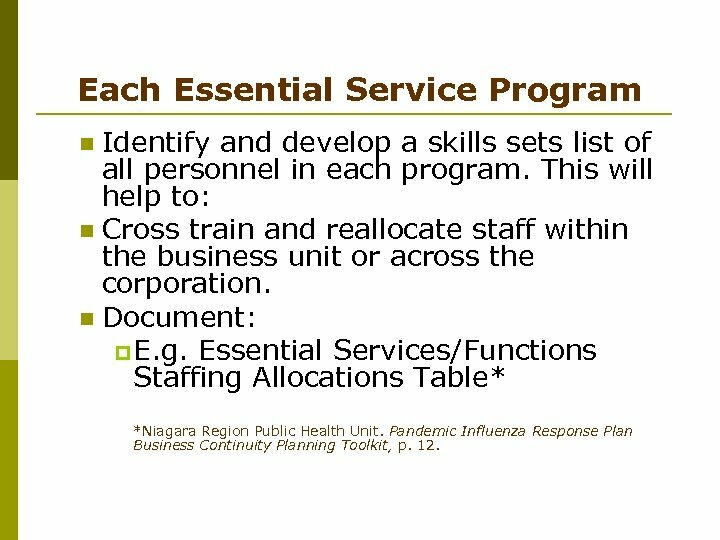 This will help to: n Cross train and reallocate staff within the business unit or across the corporation. 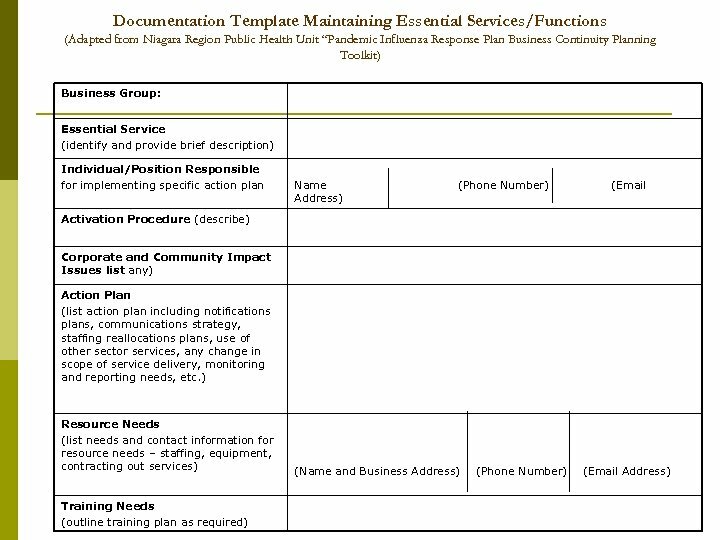 n Document: p E. g. Essential Services/Functions Staffing Allocations Table* n *Niagara Region Public Health Unit. 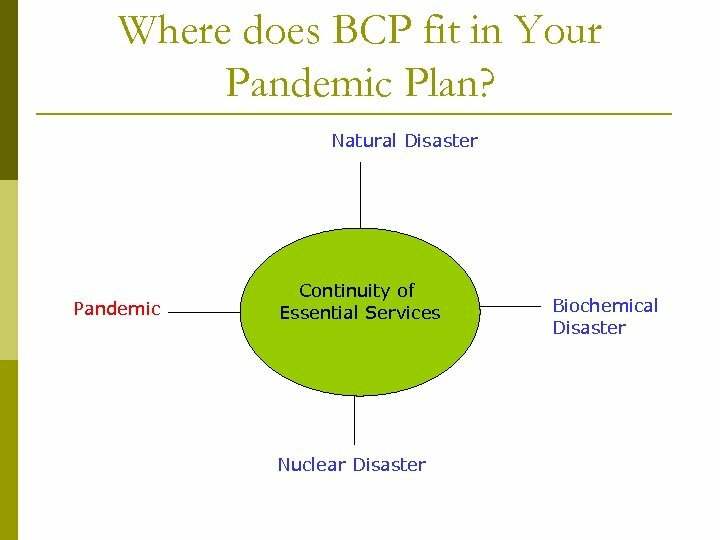 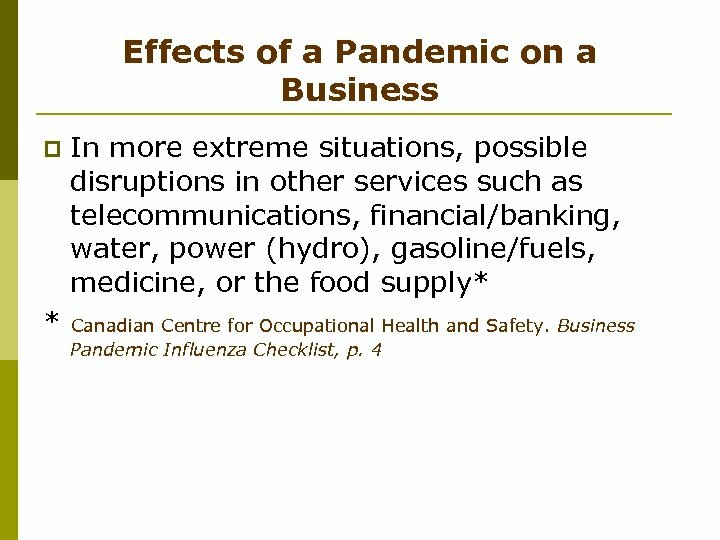 Pandemic Influenza Response Plan Business Continuity Planning Toolkit, p. 12. 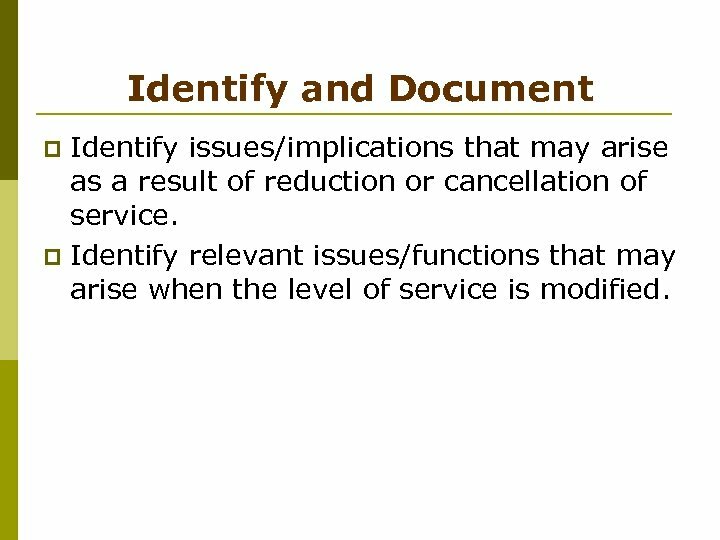 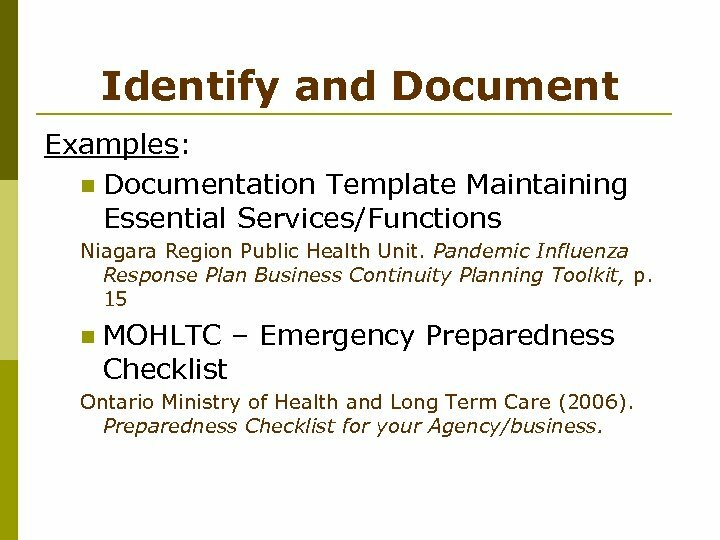 Identify and Document Examples: n Documentation Template Maintaining Essential Services/Functions Niagara Region Public Health Unit. 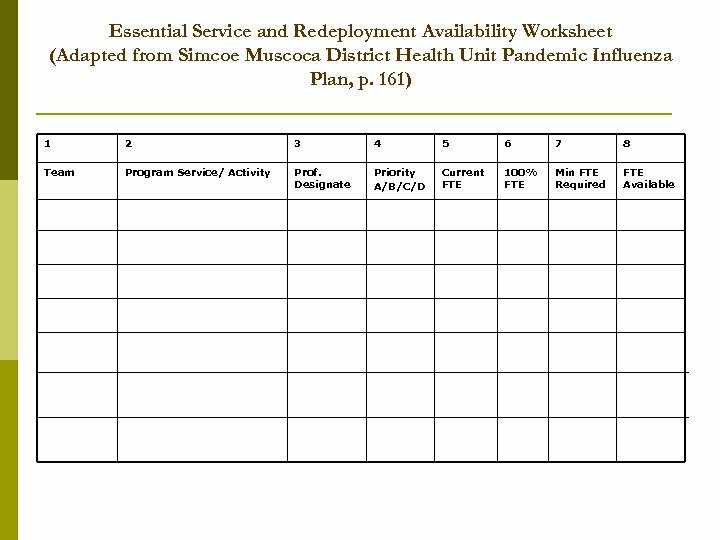 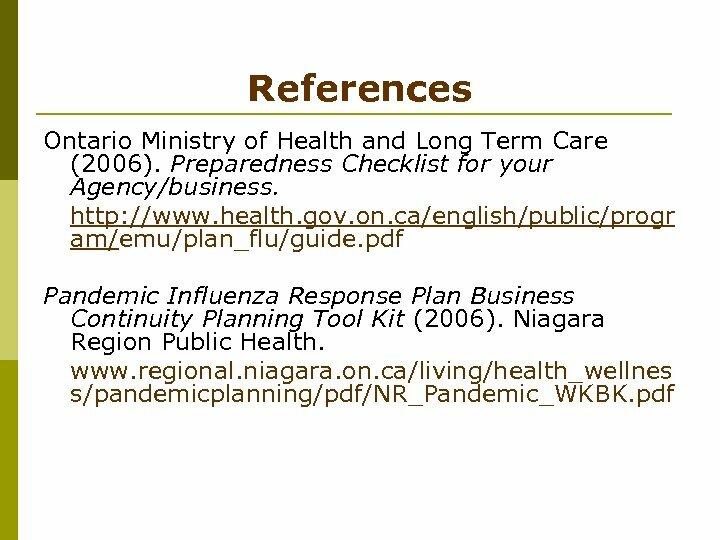 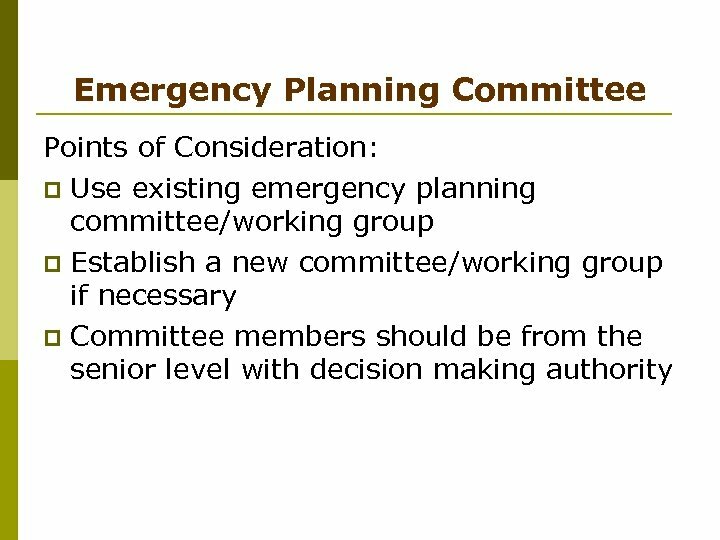 Pandemic Influenza Response Plan Business Continuity Planning Toolkit, p. 15 n MOHLTC – Emergency Preparedness Checklist Ontario Ministry of Health and Long Term Care (2006). 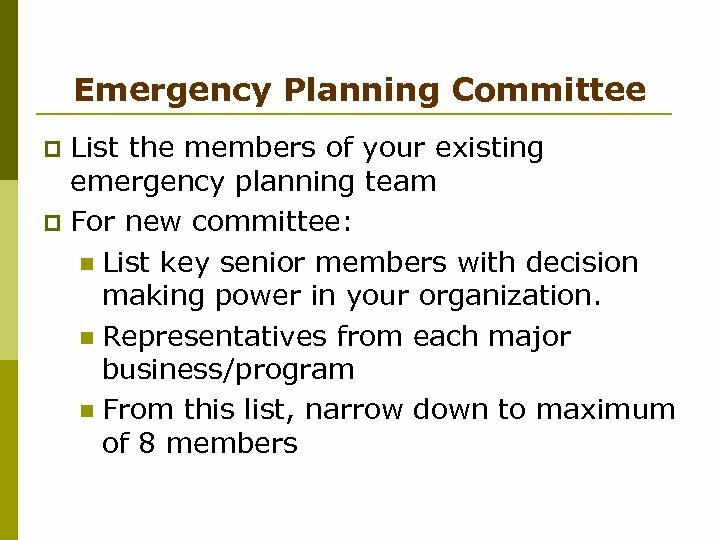 Preparedness Checklist for your Agency/business. 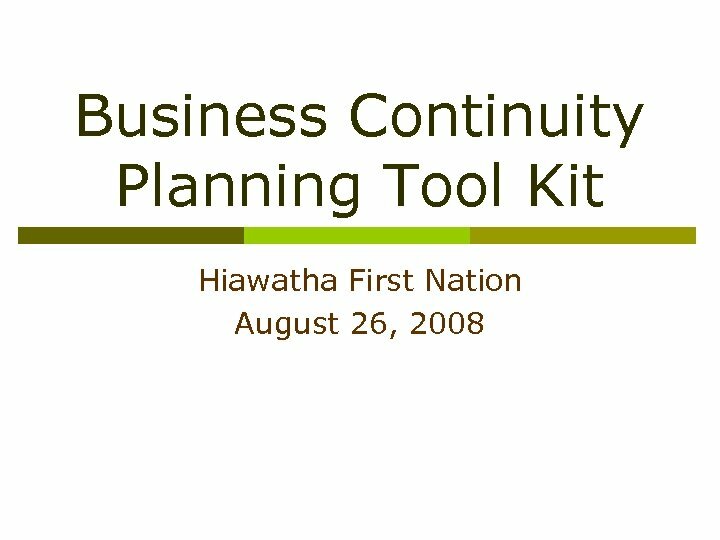 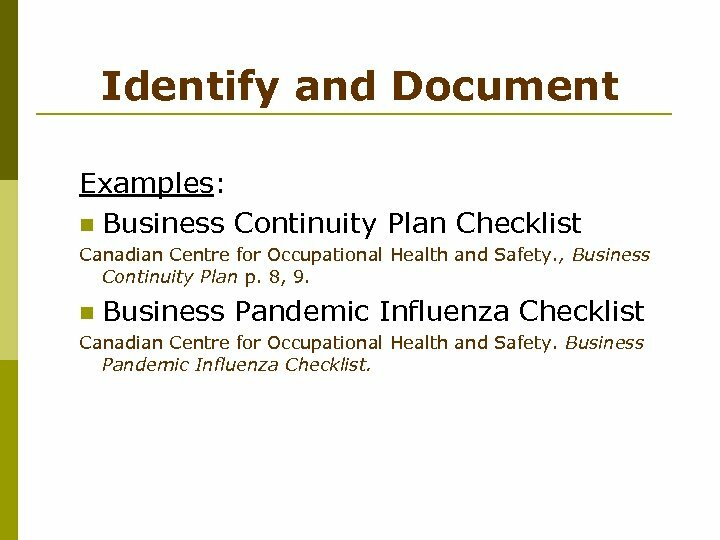 Identify and Document Examples: n Business Continuity Plan Checklist Canadian Centre for Occupational Health and Safety. 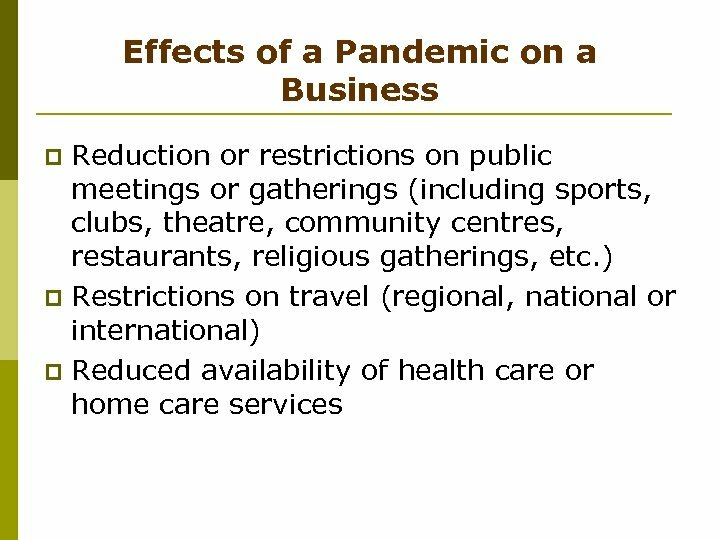 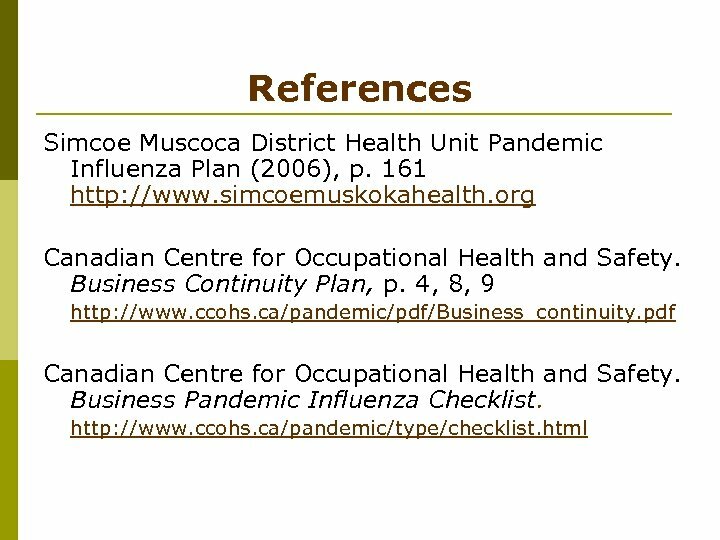 , Business Continuity Plan p. 8, 9. n Business Pandemic Influenza Checklist Canadian Centre for Occupational Health and Safety. 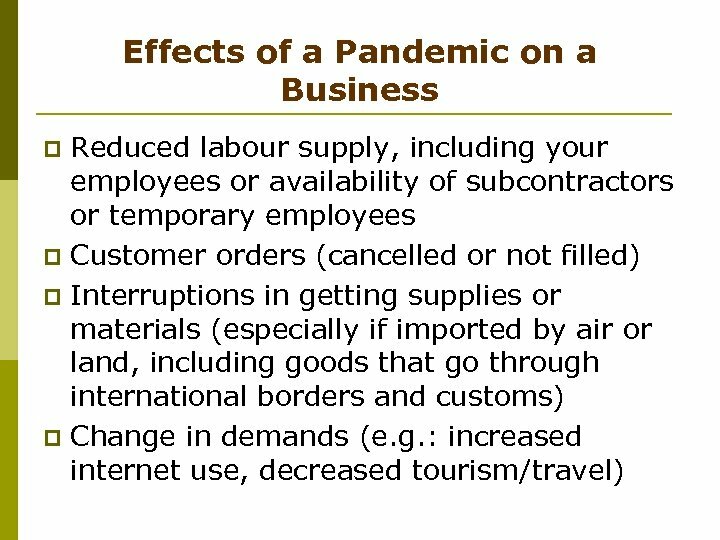 Business Pandemic Influenza Checklist. 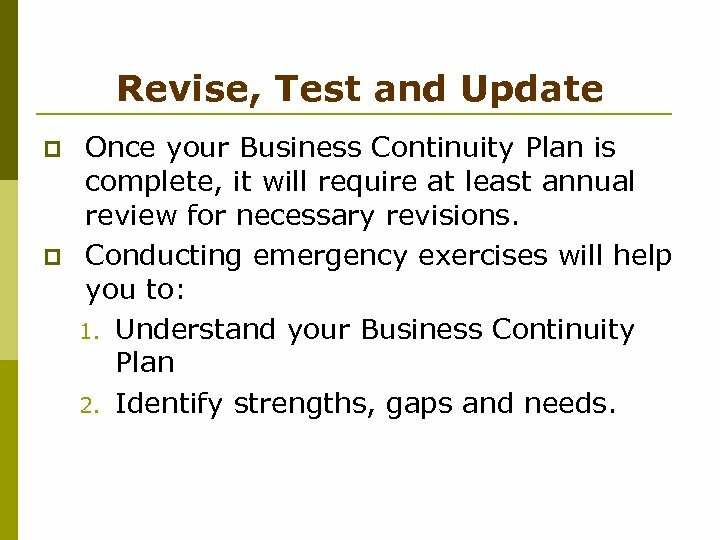 Revise, Test and Update p p Once your Business Continuity Plan is complete, it will require at least annual review for necessary revisions. 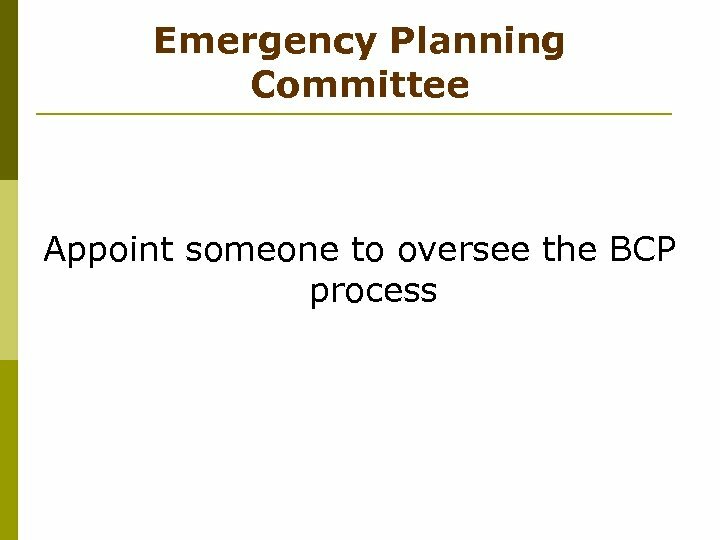 Conducting emergency exercises will help you to: 1. 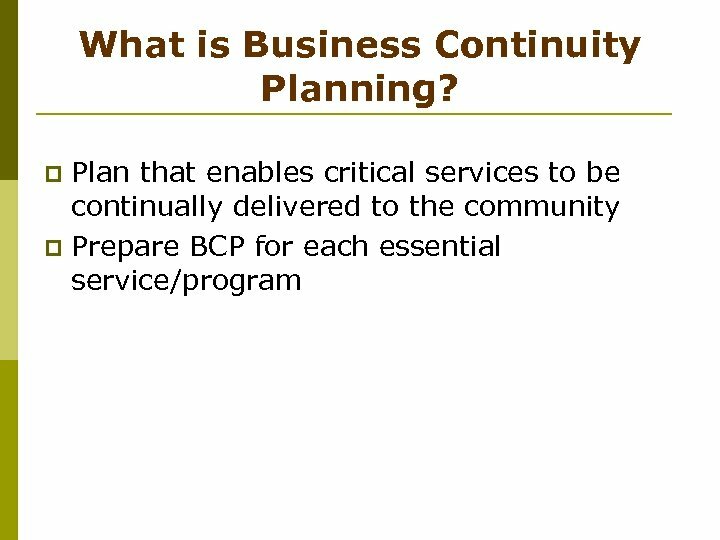 Understand your Business Continuity Plan 2. 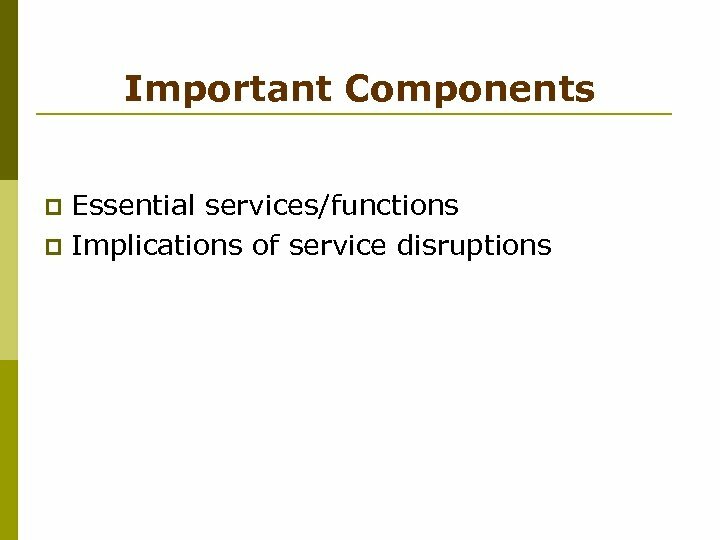 Identify strengths, gaps and needs.